Johnny Manziel appeared to express interest in joining Vince McMahon's newly announced reboot of the XFL in 2020. Unfortunately for Manziel, just moments after his plea, McMahon specified that the league would have specific character requirements that would likely bar Manziel from ever playing. On Thursday Vince McMahon announced his intention to bring back the XFL in 2020. The opening kickoff of the revamped league is still a long while off. But one ex-NFL player was already thinking about staging a comeback of his own, only to be almost immediately rejected by McMahon — Johnny Manziel. Just a few minutes into McMahon's press conference, Johnny Manziel took to Twitter to shout out the league, presumably expressing interest in playing in it. It's a pairing that would make sense for both parties involved on paper. The XFL will have to stock up on high-profile, non-NFL talent if they want to draw interest to the league. Meanwhile, Manziel has been attempting to mount a comeback to football for some time. Most recently he was negotiating terms for a potential contract with the Hamilton Tiger-Cats of the CFL. Instead, Manziel's XFL dreams were almost immediately shut down. As McMahon's press conference continued, he addressed some of the other platitudes that the XFL would abide by, including a surprisingly strong stance on player character. "The quality of the human being is very important and just as important is the quality of the player," he said. "You want someone who does not have any criminality associated with him whatsoever. … Even if you have a DUI, you will not play in the XFL." With Manziel's history and record, it's unlikely he'd qualify should the league actually choose to enforce such strict standards on character. Many on Twitter were quick to point out Manziel's mistake. 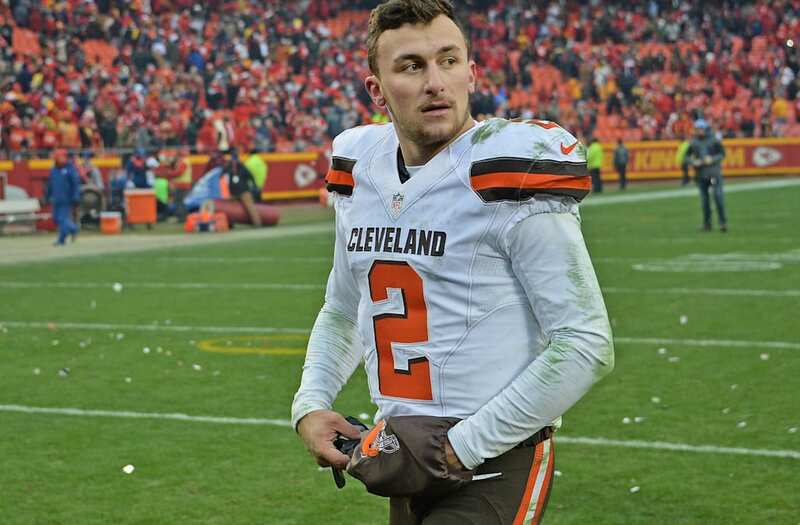 With the XFL not scheduled to start until 2020 and few plans clearly set in stone, there's plenty of time for McMahon to have a change of heart and figure out some way of getting Manziel involved in the league. But for now, if you're looking to support a former NFL quarterback to captain your XFL team, chances are you'll have better luck trying to get Tim Tebow to give up minor league baseball.